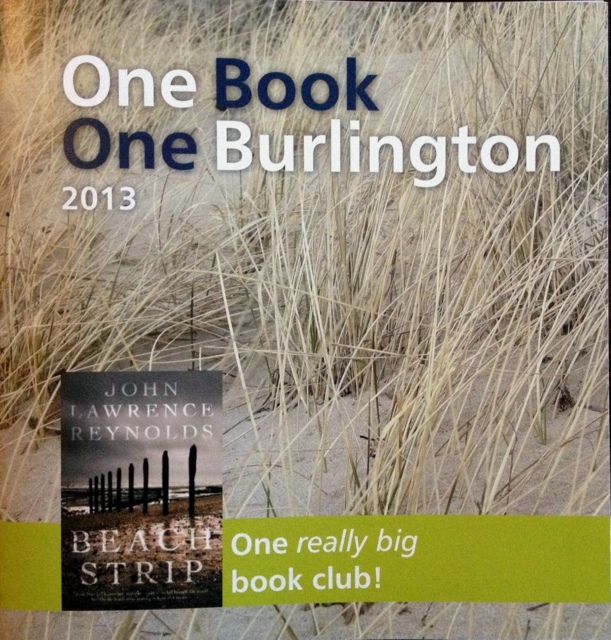 The Burlington (Ontario) Public Library has chosen Beach Strip written by local–Hamilton resident–author John Lawrence Reynolds for their annual One Book One Burlington event this Fall. This is a crime novel. A series of events and talks have been organized around it, such as meet the author, history of the Beach Strip and Burlington Light House, forensic sciences, crime authors panel and film noir, are taking place this month. Naturally, extra copies of the book has been made available to promote readership. Imagine, one can find a copy of the book on the local transit! I tip my hat to this marketing ploy. I had read the book and discussed it with a book club earlier. I was there at the kick-off event, Meet the Author John Lawrence Reynolds, two-time winner of the Arthur Ellis Award for Mystery, to find out more. There were at least three hundred people at the hall of Port Nelson Church for the talk. John Lawrence Reynold was forthright and entertaining in his talk. He lived in Burlington and knew the Beach Strip well. He said that it was his wife’s idea to use the Burlington Beach Trail as the setting for his book. He began jokingly by saying that as a male, the word “strip” has another meaning, but with his strict Christian upbringing, he did not feel comfortable placing the dead body of a naked woman on the beach; hence the victim was a man. Reynolds mentioned that many of his fictional characters were derived from people in his own experience, like the self-centred, manipulative Tina (Josie’s–the heroine–sister), who flirted with the taxi driver, Josie’s mother who was perceptive, and the shy Glynnis. He built Josie’s character to be the same as his male detectives in giving her persistence, courage and perseverance. He recognized that Josie’s had critics, likely because female and male characters were being judged differently. He believed that he had given her female qualities by her need for relationship and her sexuality. The same applied to events from his own experience. Josie’s recollection of waiting at the canal for ships to pass came from a person he had known who enjoyed doing the same and waving at the boats that passed. Josie’s blocking out her father’s death was related to Reynold’s experience of the Defasco (a big Hamilton steel factory) industrial accident many years ago. Reynolds did not intend to send any message from his book. He just wanted a page-turner; a story well told was his goal. As a writer, he spent time on his characters and put them before his plot. He put them through the scene and trusted that the rest would follow. In this connection, he compared this approach to that of Ray Bradbury, who said that the plot was the foothold for the characters to launch. There had not been any offers for a TV movie, and Reynolds spoke in a tongue-in-cheek manner that two more sequels may be in the pipeline, and the titles would be Beach Blonde and Beach Balls. The audience seemed happy with the talk. For me, it was educational to go into the process of the creation of a fictional novel and the workings of an author’s mind. This entry was posted in Books, Leisure and tagged Beach Strip, John Lawrence Reynolds, One Book One Burlington on October 20, 2013 by Opalla.